Key West Fishing Charters with Capt Dave Irwin - Oceans Edge Resort and Marina in Key West. 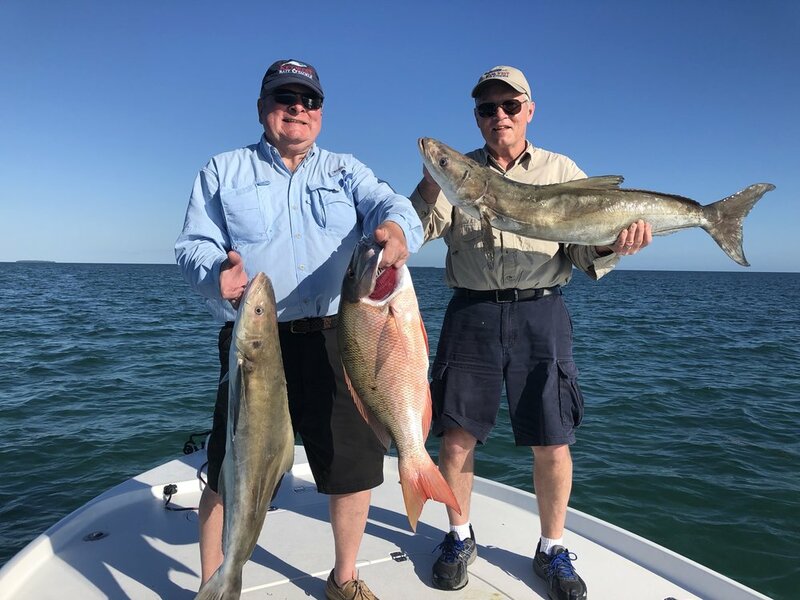 Experience Key West fishing aboard my 24' Yellowfin bay boat and ride in comfort as we cruise through the beautiful backcountry and flats of the Atlantic Ocean and the Gulf of Mexico. DNA Sportfishing offers some of the best inshore fishing Key West has to offer. Target species like Bonefish, Tarpon, Permit, Shark and Barracuda on the gin clear shallow waters of Key West and the Marquesas or try your hand at wreck fishing for Cobia, Grouper, Mackerel and Snappers. Conveniently based out of Oceans Edge Resort & Marina, one of the new premier resorts in Key West, Captain Dave Irwin will ensure you have an enjoyable and productive day out on the water. Schedule your next Key West Fishing Charter with Captain Dave Irwin! The Backcountry and Flats of the lower keys and Key West are home to a wide variety of fish. Here in the Florida Keys, we have the third largest coral barrier reef system in the world. Inside of the main reef system there are what is known as patch reefs. There is a large variety of fish that call it their home such as Yellowtail Snapper, Mutton Snapper, Mangrove Snapper, Cubera Snapper, Black Grouper, Gag Grouper, Red Grouper, King Mackerel, Bonito, Permit, Hogfish, Sharks, Barracuda, Spanish Mackerel and Cero Mackerel. These are just a few of the species that you can expect to catch on and around the reef. Backcountry, tarpon, permit and inshore wreck fishing with Captain Dave Irwin - Oceans Edge Resort Key West.